being held on a $35,000 bail. A probationer was arrested yesterday afternoon after she allegedly shoplifted and gave false identification to police. 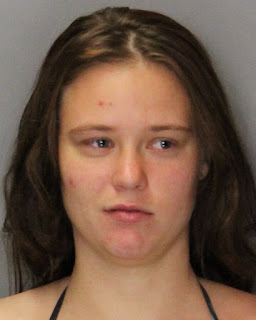 According to Elk Grove Police, 23-year old Kaitlyn Nicole Wilcox of Elk Grove was observed shoplifting at the Walmart on Bruceville Road by a store employee. After being detained, Wilcox reportedly provided false information about her identity to responding police officers. After identifying Wilcox, she was arrested and booked into the county jail where she is being held on $35,000 bail. Wilcox is on probation for a 2014 theft and providing false information to a police officer convictions.